Paul has been working in the Financial Services Industry since 2009. He currently serves as the Director of Corporate Compliance. Paul is originally from St. Louis, Missouri and recently relocated to Colorado. 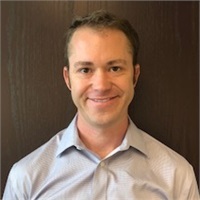 He has a degree in Finance from Missouri State University and currently holds Series 7, 63, 66, 9, 10 and 24 registrations with LPL Financial in addition to life and health insurance. In his spare time he enjoys hiking, trail running, snowboarding, traveling and mountain biking.